1) Adopt special electronically controlled loop design while heating lamps; High efficiency in simultaneous controlling one lamp or large quantities; Lower power consumption. 2) Adopt heat transfer and feedback theory to decide the shape and thickness of bottle embryo. 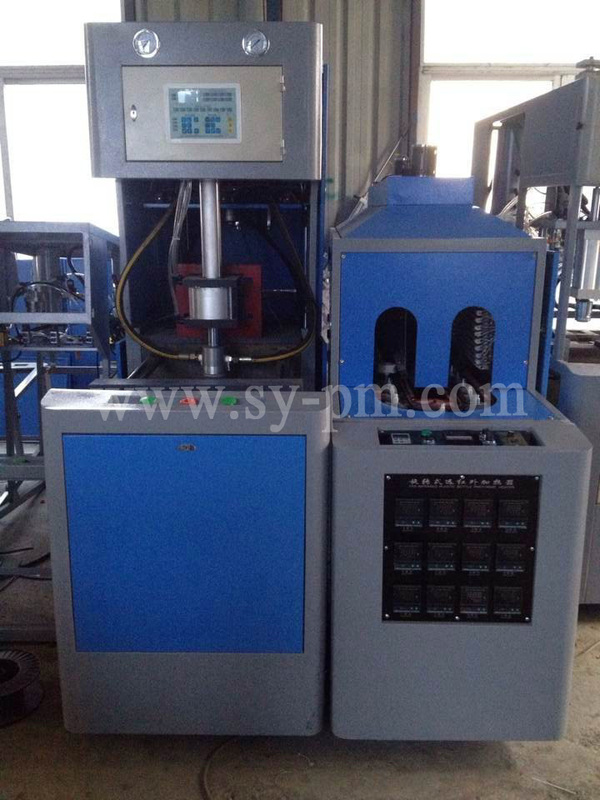 3) Heating furnace is always under stable temperature. The embryo will be heated evenly, not be influenced by outside environment. 4) Air circuit system consists of movement and blowing so as to meet the needs of different air pressure, also to provide stable high voltage for blowing different shapes of big bottles. 5) The system is equipped with silencer, connecting rod and articulated refueling devices. 6) Two modes of operation: Automatic mode and semi-automatic mode. 7) small, low investment, one person enough, easy to use and safe. 8) Cooling system with cold air circulating ensures same heat exposure of inner and outer of the bottles.